When we see this picture we may remember The Gioconda, in fact is known as the Gioconda North. These portraits are involved by a mistery. Who is she? What was she thinking meantime? Are her eyes seductive? Her kind of look is innocent or charmed? What is the meaning of the colours in her turban? 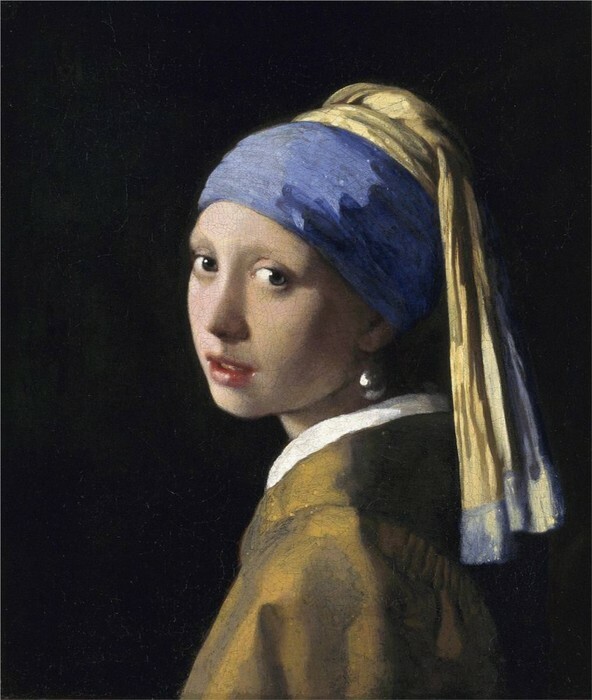 And Why she has a pearl as earring? 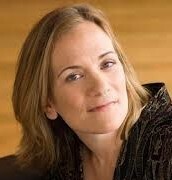 Tracy Chevalier was born in 1962 in Washington. She is a writer who started her career with the book The Virgin in Blue. 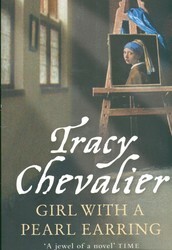 The Lady and the Unicorn and The Girl with a Pearl Earring are her books more popular. Her last novel is The Last Runaway. She studied in Ohio during the High-School, and after that, she studied in England an MA in Creative Writing. When she was child she used to play the clarinet and she was president of the Laura Ingalls Wilder (she was known by being the writer of Little House in the Big Woods Club -la casa de la pradera- at our local library. Her favorite color is the blue used in Renaissance paintings (I suppose lapis lazuli). She loves cathedrals and she said that she may write about one someday. 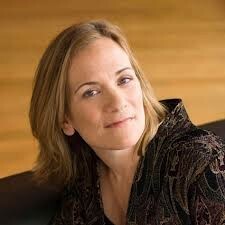 Tracy Chevalier and me have something in common If we were to open a restaurant, it would be a tea and cake shop. Nowadays she lives in London with her husband and her son. 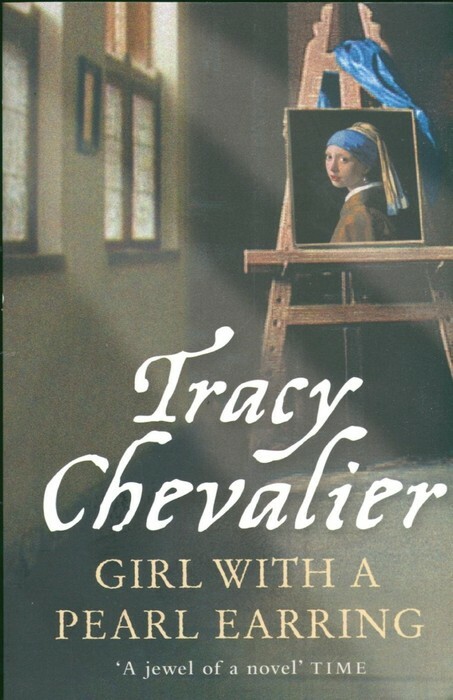 Girl With a Pearl Earring tell us the story of a Dutch young girl, who worked as a maid in the house of the painter Johannes Vermeer. The painter and the girl had something in common, the way of looking at things. 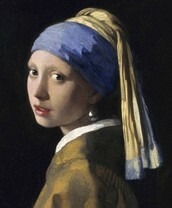 Vermeer little by little introduced her into the world of his paintings. But she have to fight with his wife and the other women in the house. The house is a mental disaster. The family is a chaotic Catholic family and the girl is protestant. Six children and one near of the born are dominated one of them, Cornelia, who sees more than she should and do difficult the life of Griet (our girl). Also, the girl is in the middle of a relationship with the son of the butcher and she is being pursue by the protector of the painter. Suddenly the life of Griet start to be a scandal and everyone refused her. Finally… read this jewel of book if you want to know what happened at the end. "Lick your lips, Griet." I licked my lips. I was so surprised by this request that my mouth remained open of its own will. I blinked back tears. Virtuous women did not open their mouths in paintings. TO BE GLAD OF SOMETHING: feeling pleasure or happiness for something. Agradecer algo. SCRUB: rub hard so as to clean them with a brush and water. Fregar. BLOWN: the woman looks as if she had been blown about by the wind. Golpear. MAID: a female domestic servant. Criada. ELDEST, the: in a group of people this is the person who is the oldest. La/el mayor. WHIMPER: the baby began to whimper. A kind of slow sounds which express fear, pain, unhappiness or laziness. Gimoteo. Gimotear. DEALER: a person who buys and sells goods (mercancias). Comerciante. HUNG: the picture was hanging on the wall of the room. Colgar.